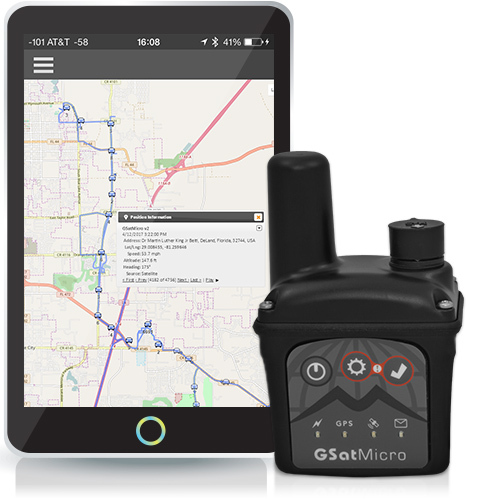 More than just a tracking device, the GSatMicro offers fully integratable communications technology for developing powerful new solutions. Choose our handheld to begin tracking today or build your own satellite terminal with the OEM. The GSatMicro Series is a suite of intelligent satellite terminals that provide behavior monitoring and management of fixed and mobile assets around the globe. Regardless of your asset type, the GSatMicro Series provides satellite enabled solutions that can be applied across multiple industries. All terminals in the series provide a global communications channel with optional encryption for transmitting and receiving data on demand whether on land, in the air, or at sea. The GSatMicro Series provides a fully programmable and customizable solution that allows for the creation and modification of scripts to expose custom behaviors and transmit data in a format dictated by a project’s needs. The ability to execute a customized script allows the GSatMicro Series to perform real-time analysis of data captured out in the field, control other hardware, sensors, or electromechanical components, and perform other vital tasks. Our waterproof handheld version is the smallest self-contained Iridium tracker in the world. Our intelligent, scriptable Iridium platform used to create your own communications terminal. The original GSatMicro enhanced with a GSM chipset for hybrid satellite and cellular solutions. What is the GSatMicro Series? The GSatMicro Series terminals are not just tracking devices, they are powered by a processing engine that has access to satellite networks, positional information, and a multitude of sensors. The core of the GSatMicro is powered by eLua, allowing extensive integration customization and offering great versatility via device behavior control. A powerful on-board virtual machine allows the execution of custom-built software code that can receive, analyze and transmit data depending on pre-programmed conditions. With the ability to load new custom scripts and change parameters easily and quickly, you are able to transform a single GSatMicro into a completely different terminal that behaves the way you want it to. 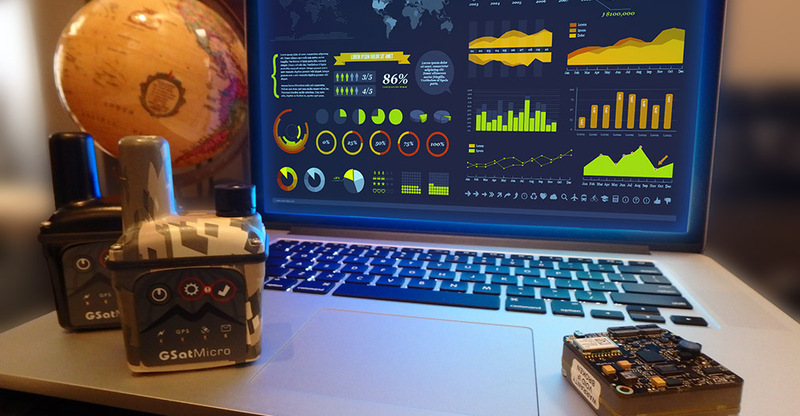 Monitoring and control over assets allows the GSatMicro to play a major role in the M2M and IoT markets. Understanding the behavior of things allows managers to properly assess what next-steps must be taken to effectively manage the assets and the situation. Receive and transmit data of all types across multiple industries to analyze asset performance and behavior. Onboard intelligence provides you with the power to truly understand not just where your asset is but how it's performing and how the world around it is affecting it. The GSatMicro offers 256-Bit AES Encryption at the device level. It offers end-to-end encryption making it the most secure and versatile Iridium satellite terminal in the world for both government and private M2M communications. Used by governments and militaries, AES encryption provides you with one of the highest layers of data protection. Encryption prevents the interception of mission critical data from your assets in the field. Customize the data you want to send using multiple formats and high compression. Data is protected even if your data is intercepted through the satellite network or the internet.